As the International Criminal Court (ICC) steps up its work in the Central African Republic (CAR), pledging to bring the worst perpetrators of violence to justice, concerted efforts are being made to counter endemic impunity in CAR. But the prevailing insecurity in many parts of the country rules out any quick fix solutions. The preliminaries may be out of the way now and the ICC set for a full investigation, but there has been no indication from The Hague as to how long it will take before suspects are identified, warrants issued and defendants brought to trial. The UN’s own International Commission of Inquiry into Human Rights Violations in CAR, set up by UN Security Council Resolution 2127 in December 2013, draws similar conclusions. After a first visit to CAR in March 2014 and follow-up research in April and May, the Commission submitted its preliminary report in June. It highlighted the prevalence of extra-judicial executions, enforced disappearances, torture and arbitrary arrest and detention. Commission President Bernard Muna from Cameroon, formerly deputy prosecutor of the International Criminal Tribunal for Rwanda (ICTR), warned of “hate speech” stoking tensions and called for urgent dialogue between Muslims and Christians. 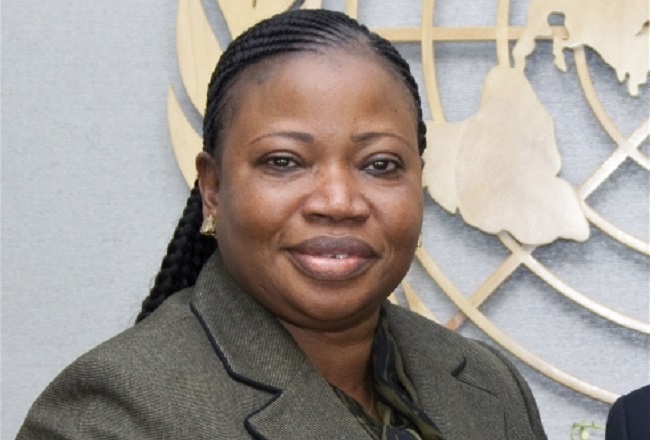 The ICC has the clear backing of the government of interim President Catherine Samba Panza. In a 30 May communiqué, referring the situation in CAR to the ICC, Samba Panza’s government spoke of “multiple cases of crimes against humanity and other odious violations of human rights perpetrated since 2012”. While the ICC’s work gathers momentum, human rights campaigners and legal experts have repeatedly drawn attention to glaring deficiencies in CAR’s domestic justice system. Several of those detained have escaped from prison and rejoined the ranks of different armed groups. With CAR police and military structures unable to function properly, soldiers from the French-led Operation Sangaris have arrested fighters from Anti-Balaka militias. But one of Anti-Balaka’s main leaders, Patrice-Édouard Ngaïssona, was subsequently released by the authorities. Visiting Bangui in April 2014, then UN High Commissioner for Human Rights Navi Pillay warned that CAR was marked by “total impunity, no justice, no law and order apart from that provided by foreign troops”. In its July 2014 report, Central African Republic: Time for Accountability, Amnesty International criticized the international community’s hesitant approach to CAR’s justice and human rights challenges. Amnesty’s recommendations included the creation of a “hybrid” tribunal, comprising both CAR citizens and internationals, arguing that such a body could help build the confidence and credibility of the national justice sector. CAR appears to be heading in this direction. In August, the government and the UN Mission in CAR (MINUSCA) signed an agreement on the formation of a Special Court, composed of CAR magistrates and legal experts from outside. While the ICC will seek to prosecute the most serious offenders in CAR, the Special Court will tackle violations of human rights and breaches of international humanitarian law, including acts of sexual violence and violations of children’s rights. The court’s foundation will depend on the passing of a law by CAR’s interim parliament, the National Transitional Council (TNC). According to Justice Ministry sources contacted by IRIN, such a law should be in place by the end of 2014. In April 2014, the government announced the creation of the Special Unit of Inquiries and Instructions (CSEI). Working under the supervision of the prosecutor-general of the Court of Appeal, the Unit’s brief goes well beyond the recent conflict, covering the period from 1 January 2004, nine months into the 10-year rule of François Bozizé. This shows a concern for balance, with the abuses investigated not confined to just one administration. The “serious crimes” to be examined include crimes against humanity, war crimes and crimes of aggression. According to the decree which established it, CSEI is composed of both legal personnel, including judges and prosecutors, along with 20 judicial police officers from the Gendarmerie and the national police. Although welcomed by legal experts and human rights campaigners, there are already concerns about CSEI’s lack of resources and its capacity to carry out in-depth investigations, particularly outside Bangui. There were similar reservations about the Mixed Commission of Inquiry set up in May 2013 under the short-lived administration of Michel Djotodia. Headed by senior CAR magistrate Flammarion Gaba, the Commission also gave a prominent role to Mathias Moruba, president of the Observatory of Human Rights (ODH). Other members were drawn from the gendarmerie and military. Although the Commission reportedly received dozens of complaints and requests for damages from victims of human rights violations and other crimes, there have been questions asked about its overall effectiveness. The Commission appears to be no longer operating. The ICC’s professed determination to pursue war criminals and the creation of new institutions within CAR has not convinced everyone. This is the second time ICC has been involved in CAR. In 2004, the Bozizé government requested ICC intervention against Congolese politician and former rebel leader Jean-Pierre Bemba, alleging widespread human rights violations committed by troops from Bemba’s Movement for the Liberation of Congo (MLC) in 2002 and 2003 after their recruitment by then President Ange-Félix Patassé. Bemba was arrested in Belgium in May 2008 and faces two counts of crimes against humanity and three counts of war crimes. The trial started in November 2010. According to the ICC, closing oral statements are due in November 2014. But Joseph Bindoumi, president of the CAR League of Human Rights (LCDH) is more positive. “At our level here at LCDH, we think these initiatives are welcome because justice is the most effective weapon in conflict situations,” Bindoumi told IRIN.